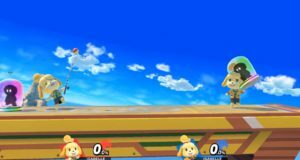 A new glitch in Super Smash Bros. 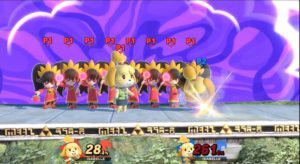 Ultimate has been discovered that lets you spawn in multiple of the same assist trophy at once! 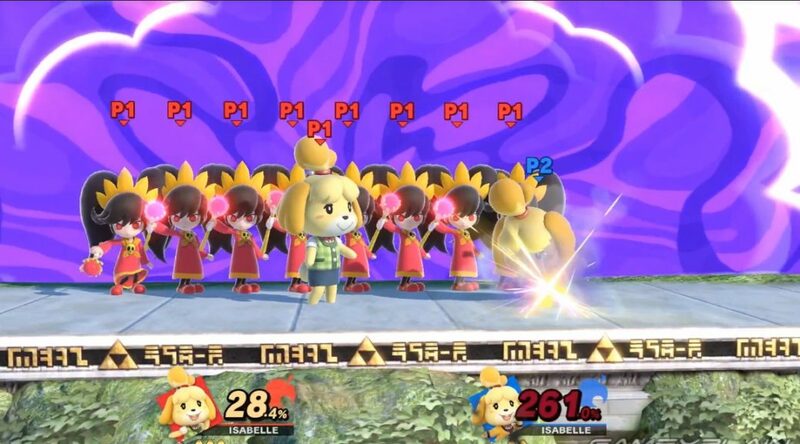 This is done with 2 people playing as Isabelle with each having an assist trophy next to them. 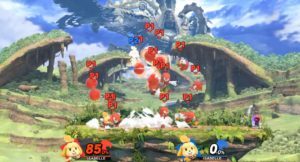 They both have to throw their fishing rods at one of the assist trophies at the same time and that will cause one of the players to keep on spam spawning in assist trophies until they get hit. This lets you to do many combinations such as many Waluigi or even lots of Knuckles & Knuckles & Knuckles as you want! If we have any more information to share we will cover it here at Nintendo Soup so stay tuned.